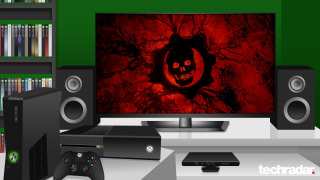 Has Gears of War killed off Microsoft's hot new Xbox One game? Are the old franchises killing off the new ones? Where have all the next gen games gone? Ladies and gents, gather, for I have a confession to make. I, an Xbox gamer, have never played a Gears of War game. Phew - well now I feel better. That little fact has been weighing on my chest all week, ever since Microsoft announced its acquisition of the Gears of War franchise from creator Epic Games. In the same breath, MS also confirmed that it had handed custody of the series over to Black Tusk Studios, where the next installment will be developed by former series producer Rod Fergusson. "Just what does this news mean for the "all-original new IP" Black Tusk has supposedly been creating for the Xbox One since November 2012?" It's a smart move by the publisher, one which will keep the best-selling franchise exclusive to Xbox and Windows platforms. And it'll no doubt sell by the bucketload - to date, the series has shifted over 22 million games worldwide. I'll be interested to see what new direction Gears of War takes with its new curator on board, but as someone unfamiliar with the franchise, there's been something else on my mind: Just what does this news mean for the "all-original new IP" Black Tusk has supposedly been creating for the Xbox One since November 2012? Black Tusk Studios had formerly been going by the far less glamorous moniker of Microsoft Vancouver up until late 2012, when a complete rebrand was announced. Around that time, studio manager Mike Crump told local newspaper The Vancouver Sun that "we are working on Microsoft's next big franchise. We're not working on an existing franchise. We're looking to build the next Halo here in Vancouver, for example, which is really exciting. We're building something from the ground up." Microsoft backed up these claims, saying that Black Tusk was now working on the "next big entertainment franchise." Then, everything went quiet. Gears on Xbox One: Though Microsoft announced its acquisition of the GOW franchise, it didn't actually formally announce a new Gears of War game. News on that, apparently, will come "later this year," according to Hanno Lemke, general manager of Black Tusk. It's probably safe to assume that it'll be coming to Xbox One, however, and Epic Games has confirmed that it will still be around to advise on the series, ensuring a "smooth transition" between developers and platforms. At E3 the following June, hype was cranked up several notches with an explosive but more or less completely uninformative CG teaser trailer for… something. It, of course, led to plenty of questions from more astute observers. Was this the studio's new IP? Was it a game currently in development, or was it simply a very pretty tech demo? No one from the studio was willing or able to answer, but at Gamescom a few months later, the Xbox Jobs Twitter account confirmed Black Tusk's first project (presumably, whatever it was showing off that year) was "a highly ambitious, all-original new IP". Then, in the post-convention wind-down, Microsoft resumed its default radio silence on the subject. "Call me crazy, but something about all this just doesn't add up. Where has this IP gone, and was it ever really there to begin with?" In the news this week, there are conflicting reports as to the status of this all-original IP, what its future might hold, and even...if it ever existed at all. The same Xbox Jobs Twitter account now claims that Black Tusk has "been working on an all original IP since its inception, we've just brought the GoW franchise into our portfolio and have not yet determined the future of the new IP at this point". That doesn't sound promising. At the same time, head of Microsoft Game Studios Phil Spencer told GamesIndustry International that the CG trailer shown at E3 was a "concept piece," not a game at all, and certainly not one being put out to pasture as a result of the Gears of War acquisition. "I wouldn't say things have been shelved," Spencer said. "Obviously, [Gears of War] will become a big focus of the studio and something that will be critical to them driving forward. There's not really something that was on the road map that all of a sudden goes away." Call me crazy, but something about all this just doesn't add up. Where has this IP gone, and was it ever really there to begin with? And why won't anyone tell us a gorram thing about it? Gears will no doubt be huge. I might even get around to playing one of them by the time Black Tusk's effort rolls out. But, I was really looking forward to seeing something completely new, and Black Tusk seems like it has the pedigree and the resources to turn out something a little bit special. This new console generation has, so far, been clinging resolutely to the past; the majority of the Xbox One's launch titles - including Assassin's Creed IV, Killer Instinct, Forza Motorsport 5, Dead Rising 3, Battlefield 4, Call of Duty: Ghosts and Zoo Tycoon - were either sequels or reboots of existing games. Obviously, publishers will always favour known quantities, especially at the time of a new console launch as they know they'll shift consoles bundles. But now that the Xbox One is selling well and will continue to, it's time for some new blood. Titanfall's launch in March is a start, and Destinywill follow later this year in September. Of course we'll still have Halo 5 and other returning blockbusters, but I don't want a console generation that's essentially a prettier repeat of the last. Xbox One titles such as Below, a gorgeous, minimalist Roguelike, interest me far more than yet another 'shmup, even if Black Tusk is putting a rather interesting emphasis on emotionally driven, engaging writing, if this job listing is anything to go by. But wait, is this post for Gears of War or that other thing they definitely are/are not working on? I give up; it's anybody's blimming guess at this stage.